The antidote is found in making mindful decisions. Conscious spending is based on a clear intention to meet our needs without causing harm to others and the planet. It challenges us to think about what we value. And as we do that, we expand our view of what’s important and are no longer interested in supporting corporations that focus on profit at all cost. Food is a good place to start practising conscious choice. These days few of us grow our own food, so food production and retailing have become big business. Even organic products sold in a supermarket are grown on huge farms in order to provide the quantities required. 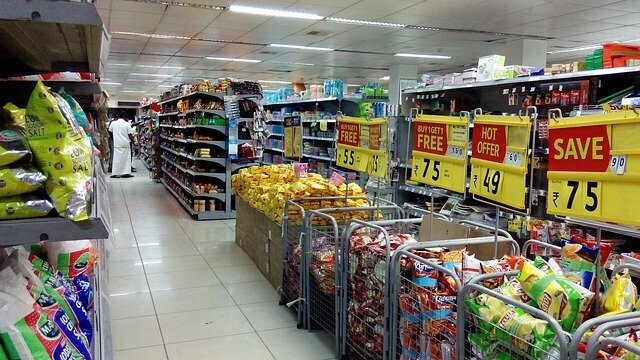 Mass production and distribution enable supermarkets to provide us with relatively inexpensive food. Cheap food is a good thing, isn’t it? Maybe. Maybe not. It depends on why the food is cheap. Much that passes as food is cheap because it isn’t really food. Powdered juice imitations, jelly dessert powders, and margarine come to mind. They are manufactured to imitate real food, using chemicals and cheap ingredients to keep cost down and profit up. These artificial substitutes don’t provide the nutrition we’d get from the real food they are imitating. Worse yet, these pretend-foods overload our bodies with chemicals that contribute to numerous health issues including attention deficit hyperactivity disorder. And in case low price isn’t enough to entice us to keep buying, many of these products are made deliberately addictive as Michael Moss reports in his New York Times bestseller Sugar, Salt, Fat: How the Food Giants Hooked Us. However, supermarkets also carry real food, and sometimes it’s cheaper than you would expect. Usually that’s because large and powerful corporations have squeezed producers to sell their goods at very low prices. This means that farmers and farm workers often make less than a living wage. Coffee is a good example of a product where there is intense market price competition and the workers bear the brunt of this. The exception is companies dealing in fairly traded products. They pay workers a living wage and make other contributions to the communities in which the products are grown and harvested. 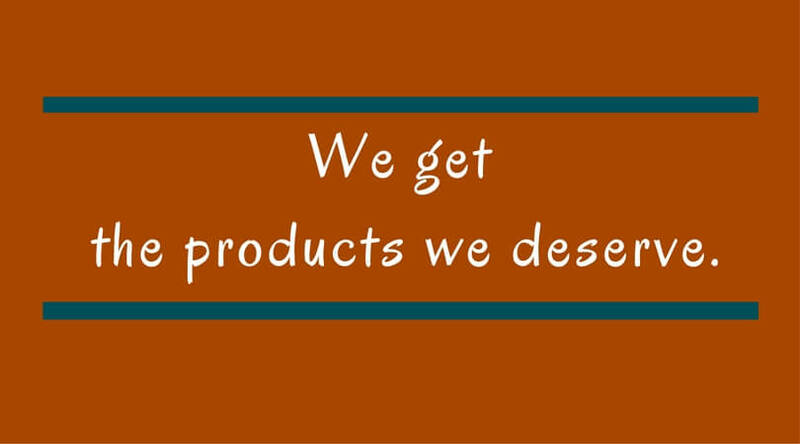 Often these products are organically produced to protect workers from toxic chemicals. For all of these reasons, the price will be higher. 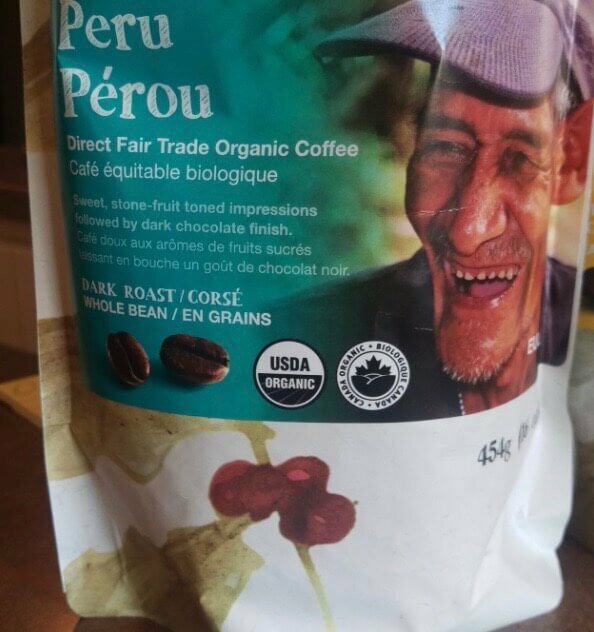 But many people consciously choose to buy fair trade products because of the good they do. So, there’s plenty to think about and it might seem like a lot of work to be a conscious consumer. The trick is to simplify. And one way to do that it to establish some personal policies about food. 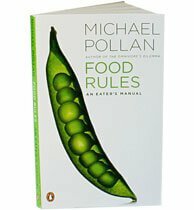 One of my favourite books about food choices is Michael Pollan’s Food Rules: An Eater’s Manual. A small book with a commonsense perspective, it’s the best way I know to achieve uncomplicated eating. Although the title refers to rules, he points out that they are more like personal policies that guide our choices. Having a personal policy such as #39, Don’t eat breakfast cereals that change the color of the milk, means you won’t waste time reading ingredient labels and making decisions while standing in the cereal aisle. You’ll quickly narrow down the pool of items to choose from. I highly recommend Food Rules: An Eater’s Manual. Each of the sixty-four “rules” is followed by a one-page explanation that is a refreshing combination of information and common sense. Here are some of my favourites. Adopt the ones that stick and work best for you. Avoid food products with the word “lite” or the terms “low-fat” or “no-fat” in their names. When your decisions and actions are based on conscious choice, you’re doing your part to reduce the damage caused by mindlessness. And when you adopt personal policies that align with what you think is important, you streamline your food decisions in a meaningful way. Conscious choices are not always easy or popular, but they are ultimately the most satisfying. Reference chapter: “Spending Consciously” from Conscious Spending. Conscious Life. This entry was posted in Mindset, Viewpoints & Thinking for Ourselves, Making Decisions, All Posts—newest first and tagged conscious consumption, decision-making, Michael Pollan, cheap food, fair trade, personal policies by Laurana Rayne. Bookmark the permalink. Excellent read Laurana. Thank you for the reminders and simple, yet humorous, tips to get me back on track. Good to hear from you, Susan. Glad to hear that some of these ideas spoke to you.